Lukes writes primarily about Central Europe. His publications deal with the interwar period, the Cold War, and contemporary developments in East Central Europe and Russia. His books include On the Edge of the Cold War: American Diplomats and Spies in Postwar Prague (New York: Oxford, 2012), Rudolf Slansky: His Trials and Trial (Washington: Woodrow Wilson Center, the working papers series, 2006), Ceskoslovensko mezi Stalinem a Hitlerem: Benesova cesta k Mnichovu (Prague: Prostor, 1999), Czechoslovakia Between Stalin and Hitler: The Diplomacy of Edvard Benes in the 1930′s (New York: Oxford, 1996); the latter book won the Boston Authors Club Award as well as the Kahn Award. 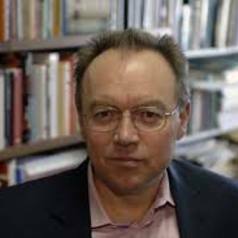 Lukes is also a co-author and co-editor of The Munich Conference, 1938: Prelude to World War II (London: Frank Cass, 1999), Inside the Apparat: Perspectives on the Soviet Union (1990), and Gorbachev’s USSR: A System in Crisis (1990). His scholarly articles have been published in eleven countries and in such periodicals as Journal of Contemporary History, Vierteljahrshefte für Zeitgeschichte, Diplomacy & Statecraft, Historie a vojenstvi, Studies in Intelligence, and Slavic Review. He was the 2012 W. Glenn Campbell and Rita Ricardo-Campbell National Fellow and the Bitton National Fellow at the Hoover Institution, Stanford University. His work has won the support of various other institutions, including Fulbright, Fulbright-Hays, the Woodrow Wilson Center, IREX, and the National Endowment for the Humanities. In 1997 Lukes won the Metcalf Award for Excellence in Teaching at Boston University. Lukes is an Honorary Consul General of the Czech Republic in New England.